Happy Birthday Chocolate Delights at $14.95. 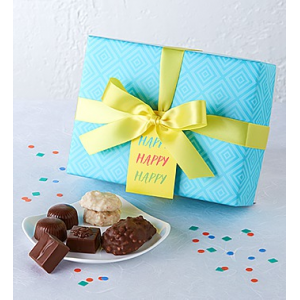 Tell that someone special Happy Birthday with our individually wrapped delights packaged in an adorable gift box. White Chocolate Joys Caramel domes Milk Chocolate Presents and more.